There are some recipes you come back to again and again because they are good, fast, and you can easily have the ingredients on hand. This is one of those recipes. I have made it countless times and for some reason my kids can’t seem to get enough of it. They actually argue over who has more tomato chunks. 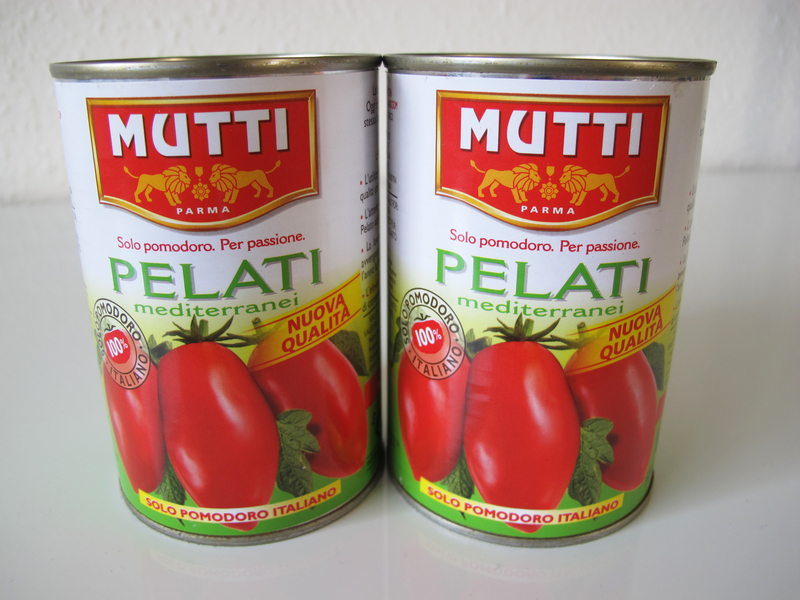 Which brings up the point that the quality of the canned tomatoes you use is very important to the finished product. I prefer to use the Mutti brand. I found this recipe a few years ago from Gourmet magazine and have adapted it somewhat to streamline the preparation. It takes all of 10 minutes to throw this meal together once you get the hang of it, so I couldn’t resist sharing. Hopefully you too will find it to be a lifesaver on the nights when you just don’t know what to make for dinner. And who knows, maybe some arguments will even break out at your table regarding who got the most tomato chunks. 1. Open the tomato cans and use kitchen shears to cut up the tomatoes while they are still in the cans. Set the cans with the chopped tomatoes aside. 2. Fry the bacon in a large soup pot until nearly crisp. Add the garlic and saute just until fragrant, about 30 seconds. 3. 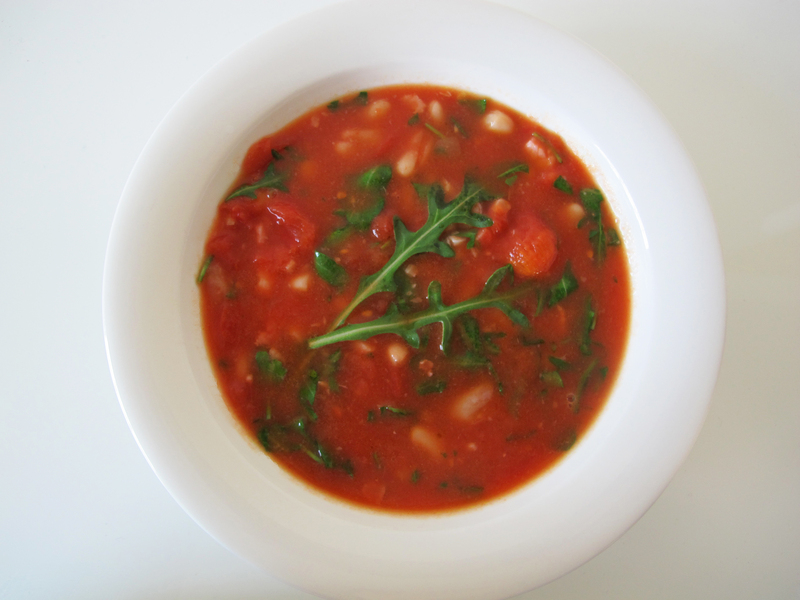 Add the tomatoes and their juices, the drained cannellini beans, and the chicken broth to the pot with the garlic and bacon. Bring to a boil then reduce the heat and simmer uncovered for 5 minutes. 4. 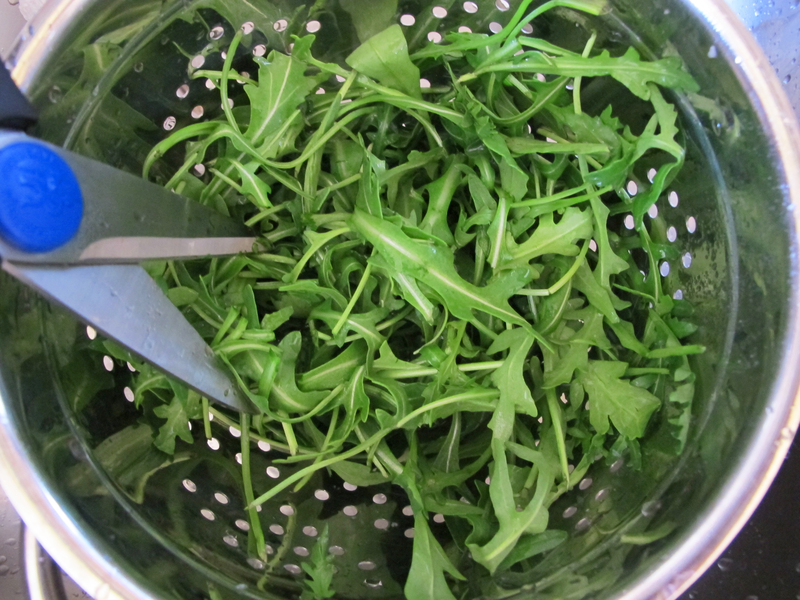 While the soup is simmering, rinse the arugula in a small colander and chop it directly in the colander using kitchen shears. After the soup has finished simmering, add the arugula and stir just until wilted, about 1 minute. Season to taste, drizzle with olive oil and serve.